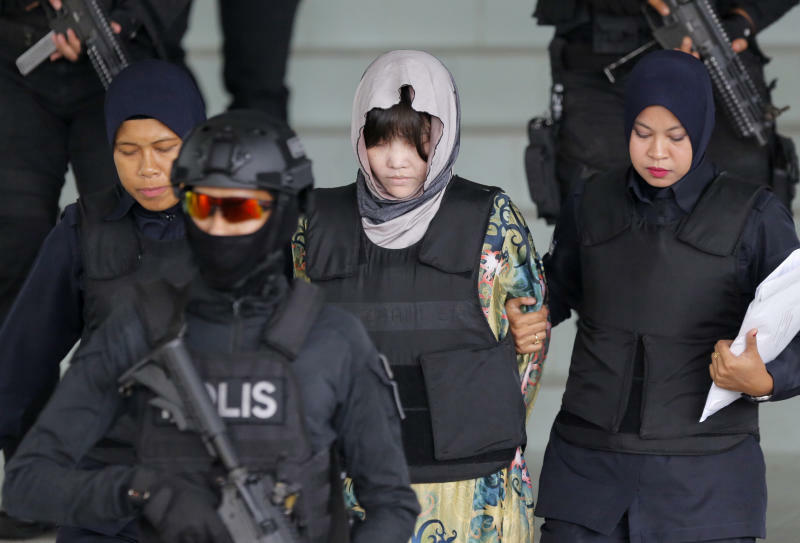 Indonesia's Siti Aisyah and Vietnam's Doan Thi Huong are accused of smearing VX nerve agent on Kim Jong Nam's face in an airport terminal in Kuala Lumpur on Feb. 13, 2017. They face the death penalty if convicted. High Court Judge Azmi Ariffin found inadequate proof of a political assassination and said he wasn't persuaded by defense arguments that the women thought they were playing a prank for a hidden-camera show. But enough evidence had been presented in the six-month trial to infer the women and four North Korean suspects at large had meticulously engaged in a "well-planned conspiracy" to kill Kim "systemically," he said. In Huong's village in Vietnam, her family said they were sad to hear she was not acquitted. Her father, Doan Van Thanh, said he could not sleep the night before, anxious to hear the ruling. "I had hoped the court would announce that she is innocent but now we are really worried for her," he said. Huong's brother, Doan Van Binh, said the family hopes she will receive a fair trial. 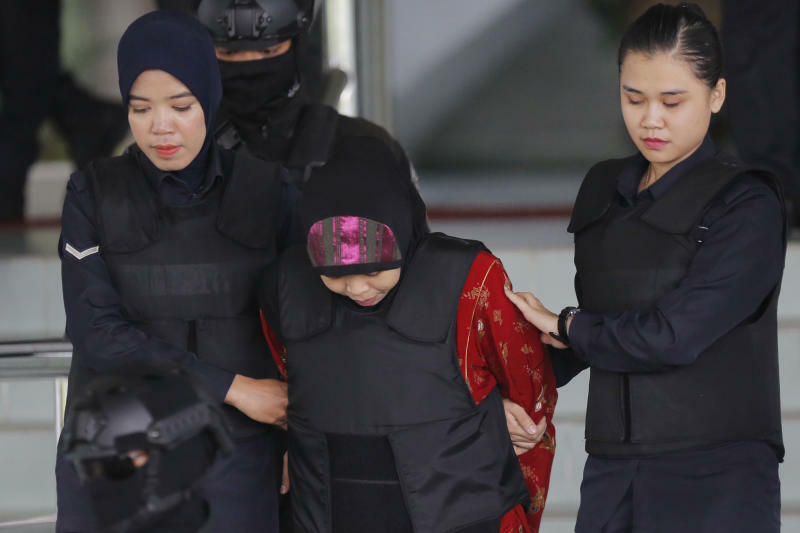 According to the case presented so far, the four men known to Aisyah and Huong by code names recruited and trained the women and supplied the banned chemical weapon they smeared on Kim's face. But the judge said their intention to kill can be inferred from targeting Kim's eyes, where the nerve agent would penetrate faster. He said evidence pointed to a "simultaneous act" by the women and that their subsequent hurrying to separate washrooms was not a "mere coincidence" but established their intention to cause Kim's death. "There is no slightest doubt in my mind that it can be inferred that their desperate act of rushing to the toilet was solely for the purpose to decontaminate the poisonous VX on their hands," Azmi said. He said they seemed worried and tense before washing their hands, but relaxed afterward. "The onus is on the accused to explain their conduct," he added. The judge said the four North Koreans played a "substantial role" and were "part of the chain that led to the murder" of Kim. The defense has argued the real culprits are the four North Korean suspects and have pointed to an embassy employee who helped arrange their travel as evidence of embassy involvement. Azmi said he "cannot rule out that this could be a political assassination," but found no concrete evidence of one. Kim, the eldest son in the family that has ruled North Korea since its founding, had been living abroad for years after falling out of favor. 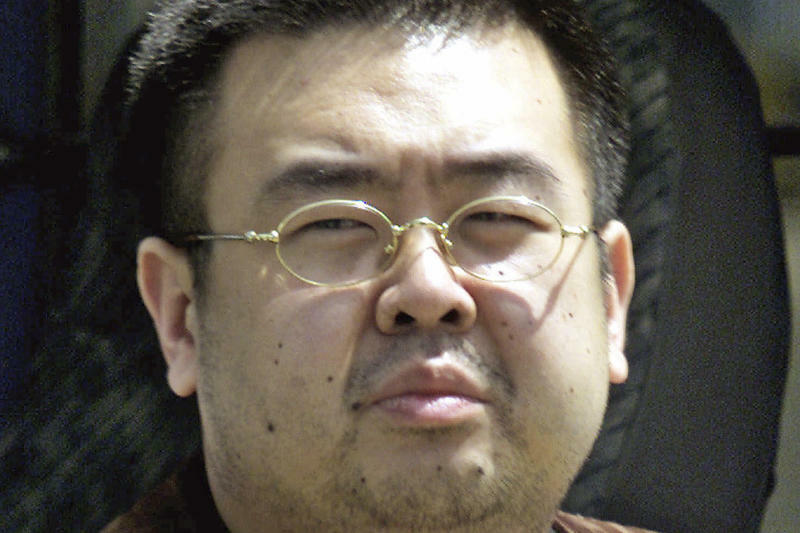 It is thought he could have been seen as a threat to North Korean leader Kim Jong Un's rule.